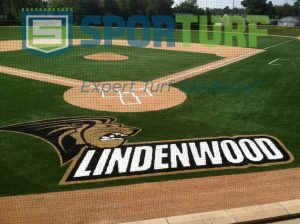 A few years ago the Lindenwood University athletic department, located in St. Charles, MO, was making the final transition from NAIA to NCAA Division II, and many areas on campus were going through renovations. 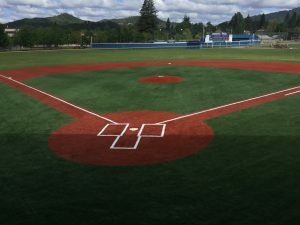 Part of those renovations were new baseball and softball fields outfitted with synthetic turf by Sporturf dealer Environmental Turf Services, LLC. The renovation of the fields was expected to help bring bigger and better athletes to the school in addition to improving the facilities. 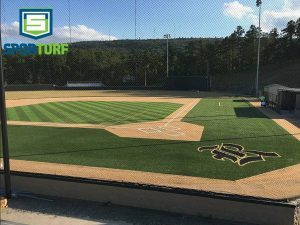 The product installed was Sporturf Fielder’s Choice. Fielder’s Choice is a product designed with the game of baseball in mind. This product should be installed outdoors on a compacted aggregate base. Since it is custom designed for baseball, Fielder’s Choice has the added durability designed to reduce infill splash and migration which is extremely important in gameplay. 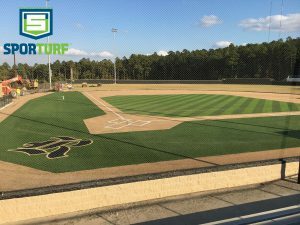 Joe T. Robinson High School in Little Rock, AR hired Sporturf™ dealer Craig Shonk of Midwest Synthetic Turf Professionals LLC to construct their new football and baseball fields. You might remember we featured their football install a while back. Now it is time to show you baseball. 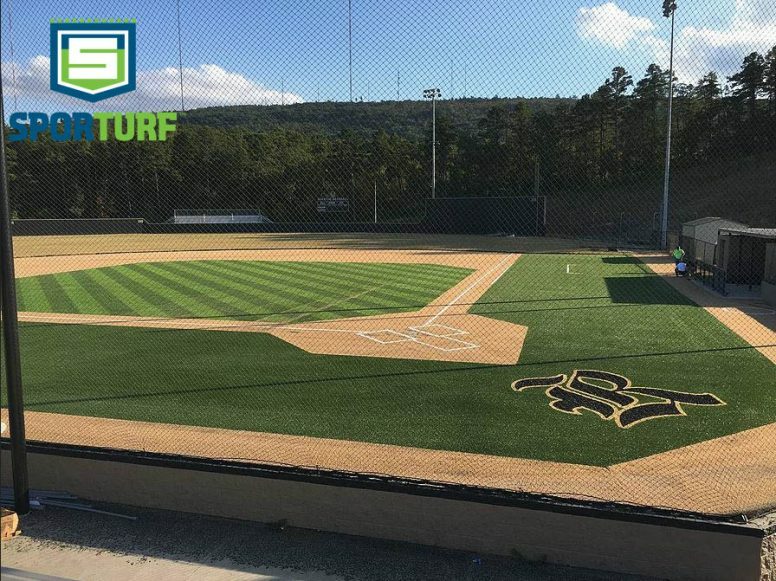 When it comes to baseball, Sporturf™ understands the demands athletes, owners and fans. Our sports fields provide a consistent surface that you can count on to deliver the best experience available. 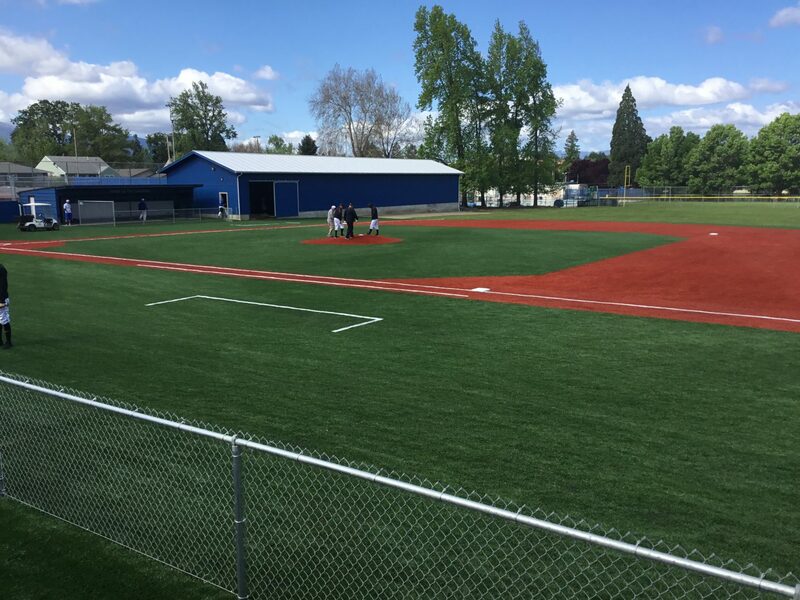 We have an offering that spans all levels of play from the big leagues to the local little league. The quality turf we manufacture utilizes the latest technology. 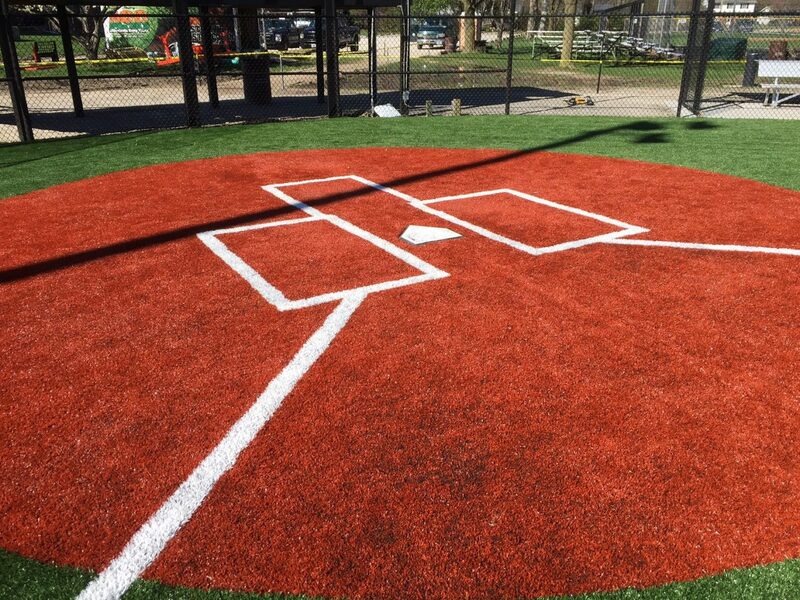 Features like ball bounce, speed of the ball roll and even light reflection are all advancements that are addressed in our product designs. Fielder’s Choice is a product designed with the game of baseball in mind. This product should be installed outdoors on a compacted aggregate base. Since it is custom designed for baseball, Fielder’s Choice has the added durability designed to reduce infill splash and migration which is extremely important in gameplay. 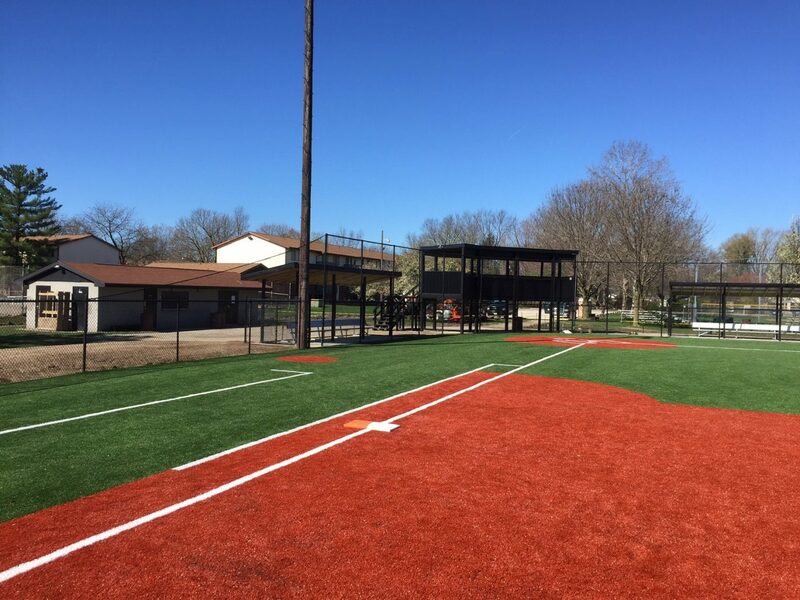 Recently Sporturf™ dealer, All Synthetic Group-Midwest, and J & L Strawn Sports Construction installed a project at the legendary Schlitt Park located in Springfield, IL. Schlitt Parke is a 5-acre neighborhood park that was added to the park system in 1971. 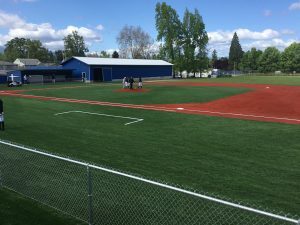 Springfield Southwest Baseball Association and the Springfield Park District wanted to transform and equip Schlitt Park with lighting upgrades, backstop fencing, netting, windscreens, dugouts, press box and an all-weather synthetic infield. 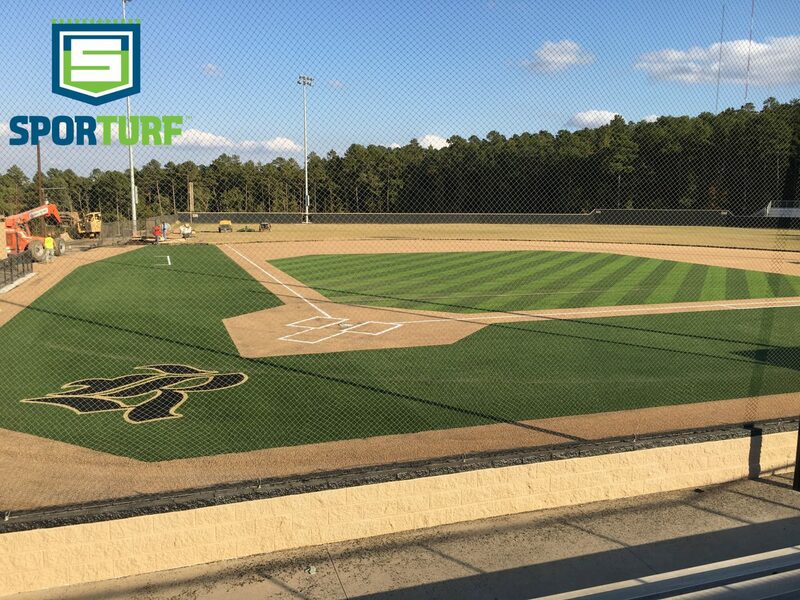 All together, this created a dramatic change in the facility and made the field suitable for play for years to come.